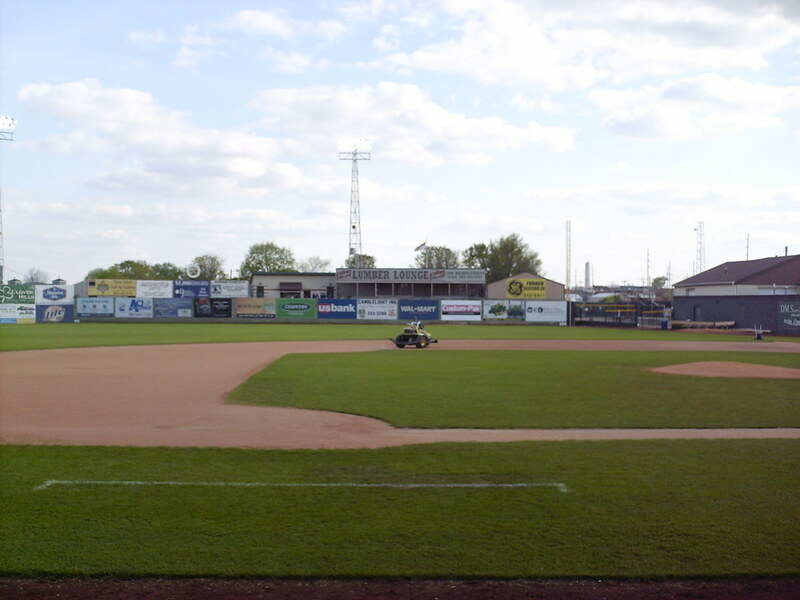 The view from behind home plate at Ashford University Field. 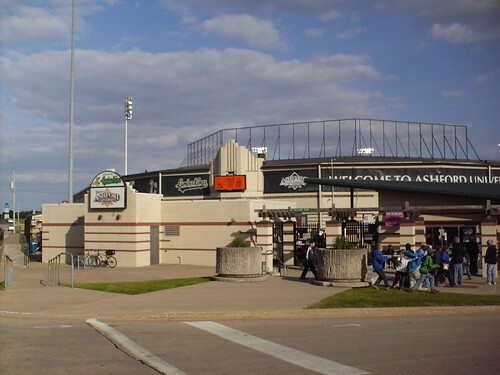 The classic covered grandstand at Ashford University Field, as seen from center field. 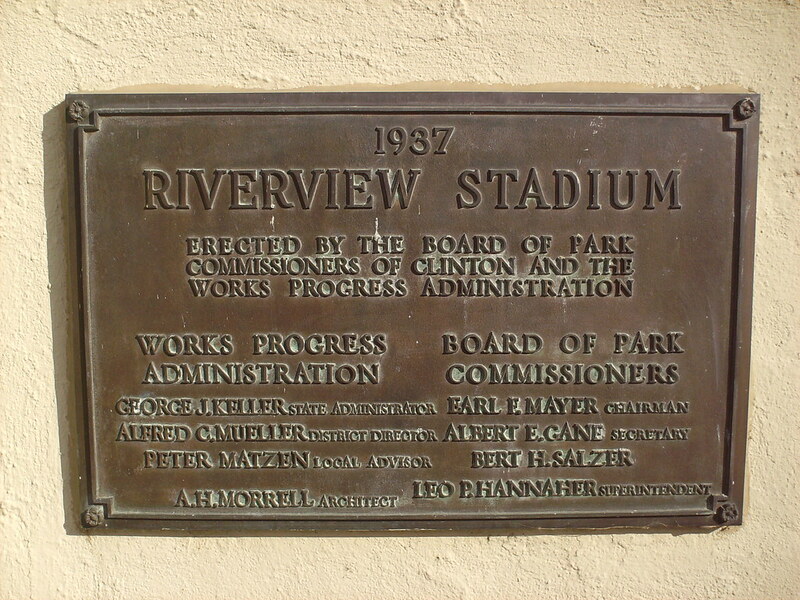 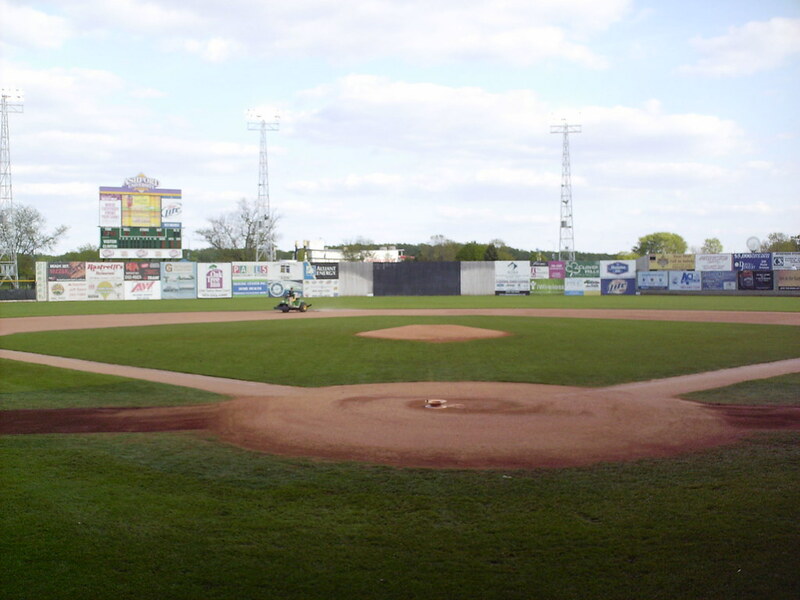 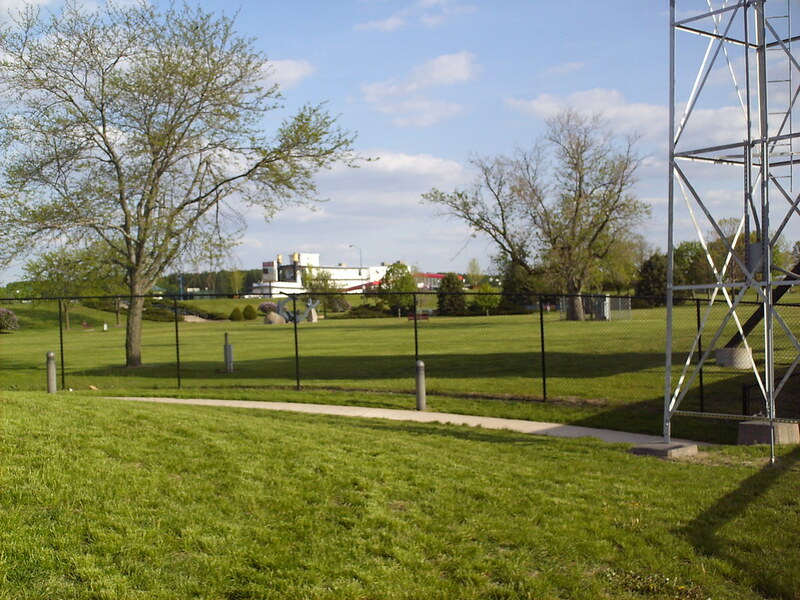 The stadium was opened in 1937 as Riverview Stadium, and is one of the few WPA parks still regularly used for pro baseball. 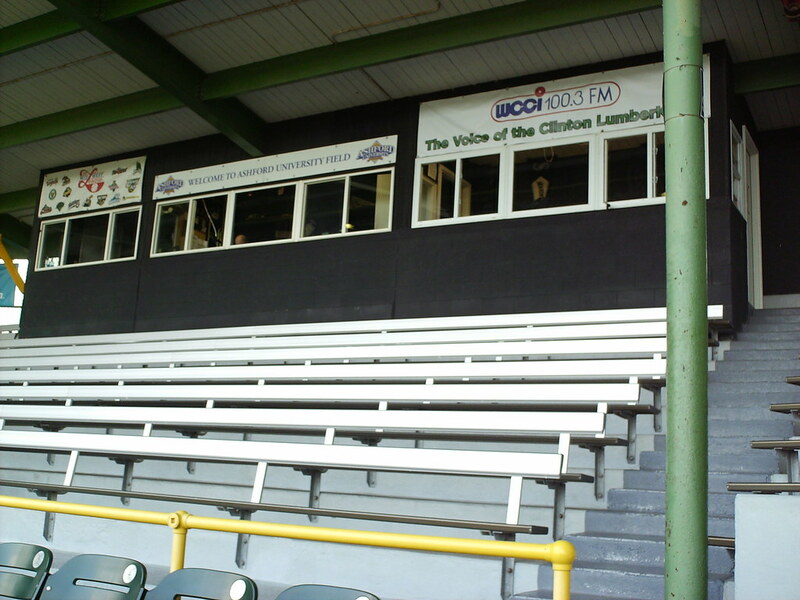 The pressbox at the top of the grandstand behind home plate. 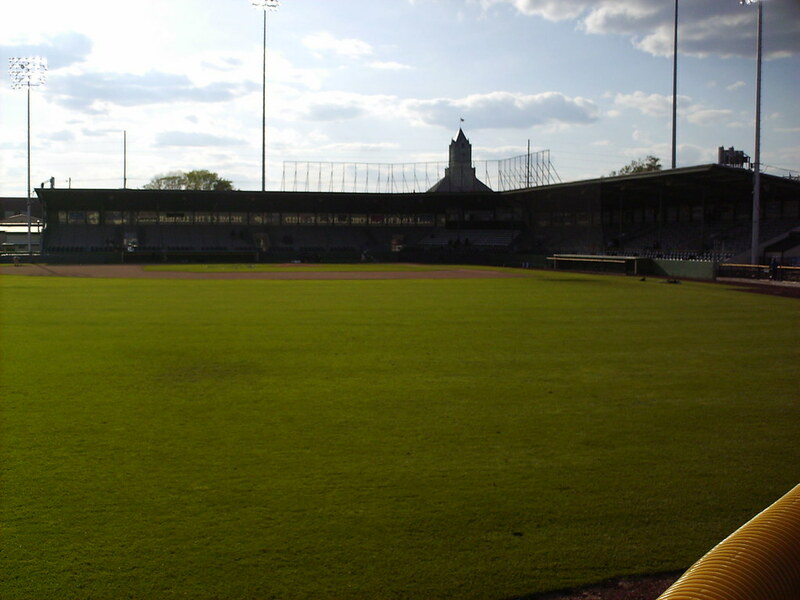 The grandstand features three rows of stadium seats, and the rest of the seating is on benches. 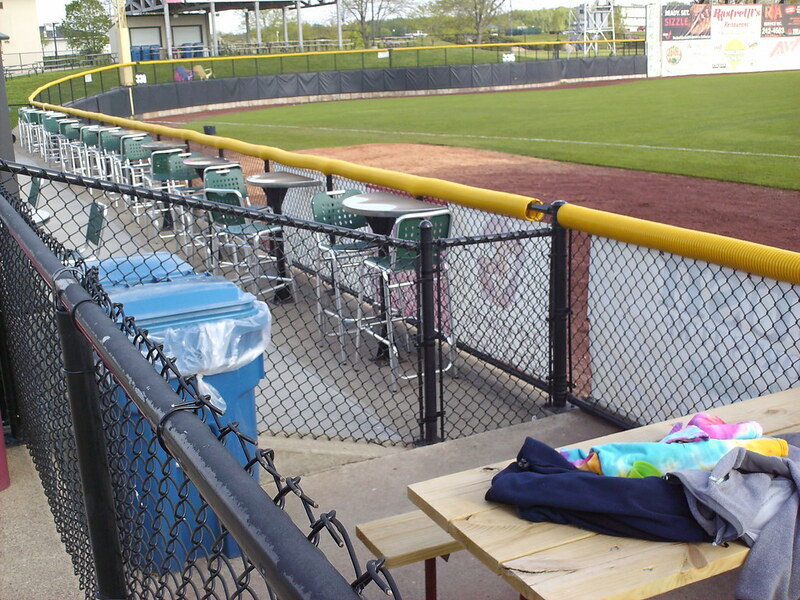 Picnic tables and bar stool seats sit up against the fence along the third base line. 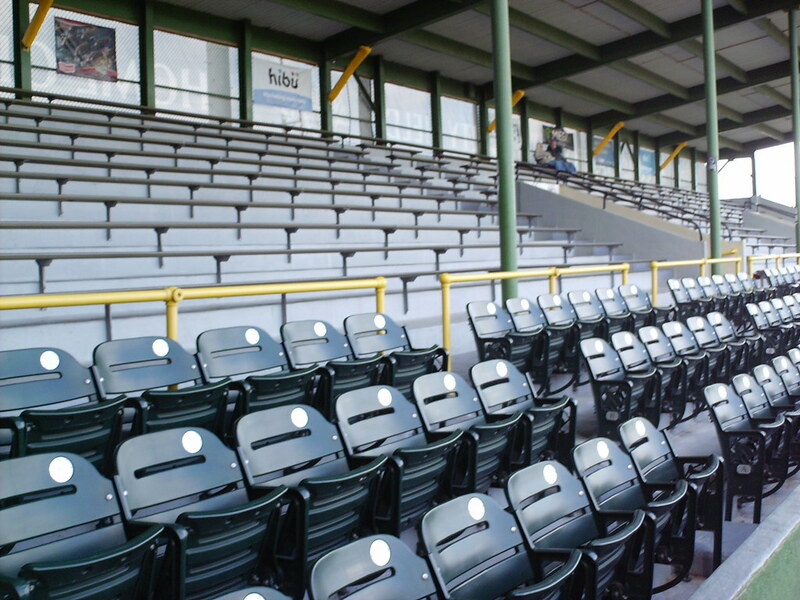 The Lumber Lounge group seating area sits behind the right field fence. 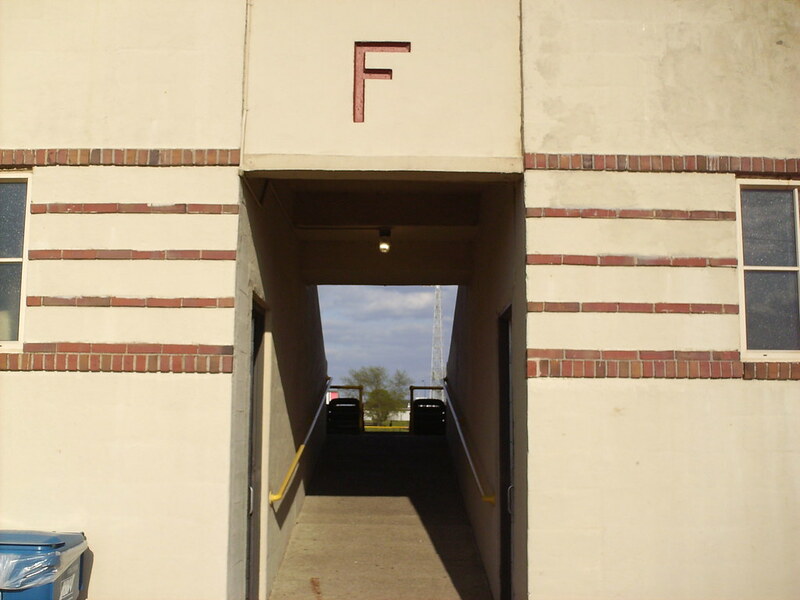 The art deco stadium facade, and a walkway leading from the concourse to the seating area. 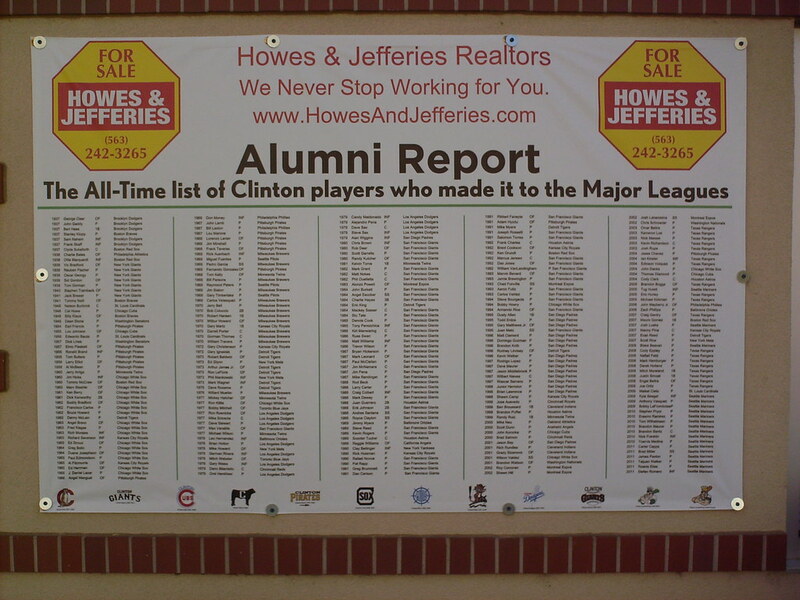 A banner on the concourse celebrates the hundreds of players who have passed through Clinton on their way to the Major Leagues. 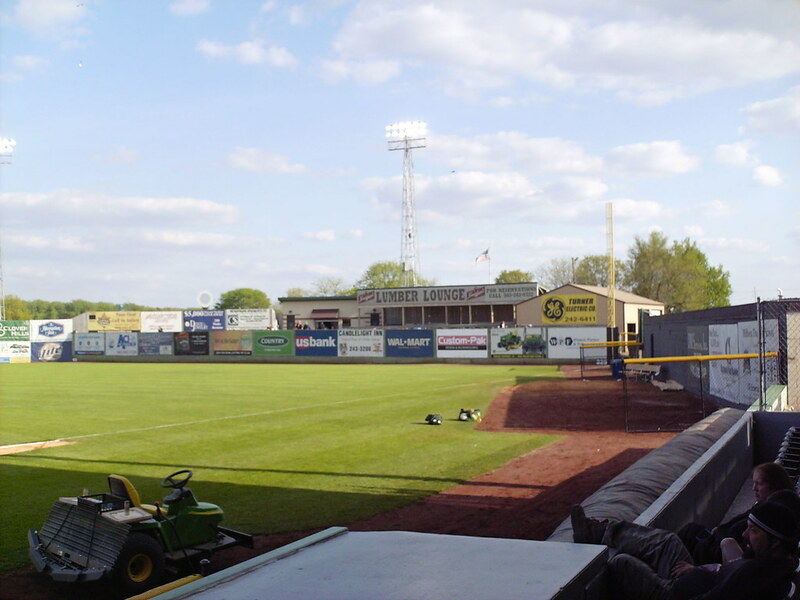 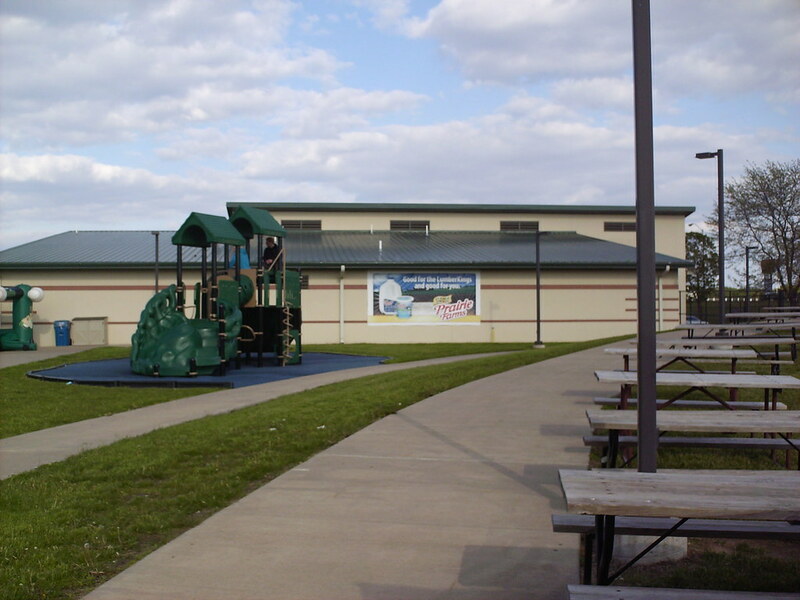 The LumberKings clubhouse, and picnic table seating along the outfield concourse. 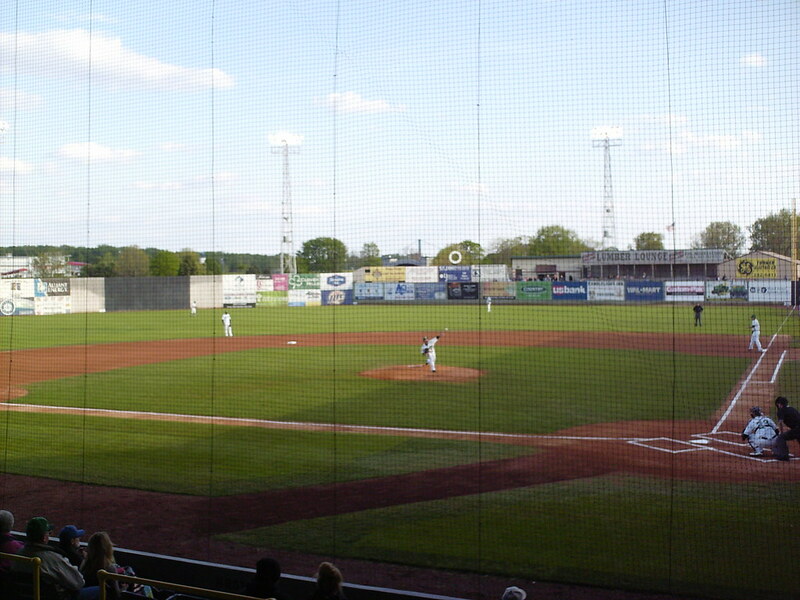 A former Mississippi riverboat is visible beyond the outfield berm, now converted into a tourist attraction. 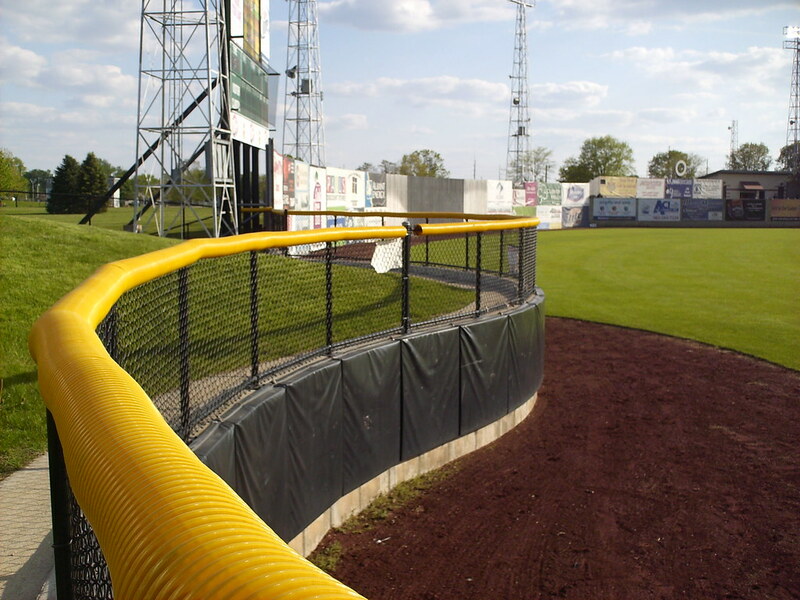 The outfield berm extends out into the playing field, creating a unique curve to the fence in left field. 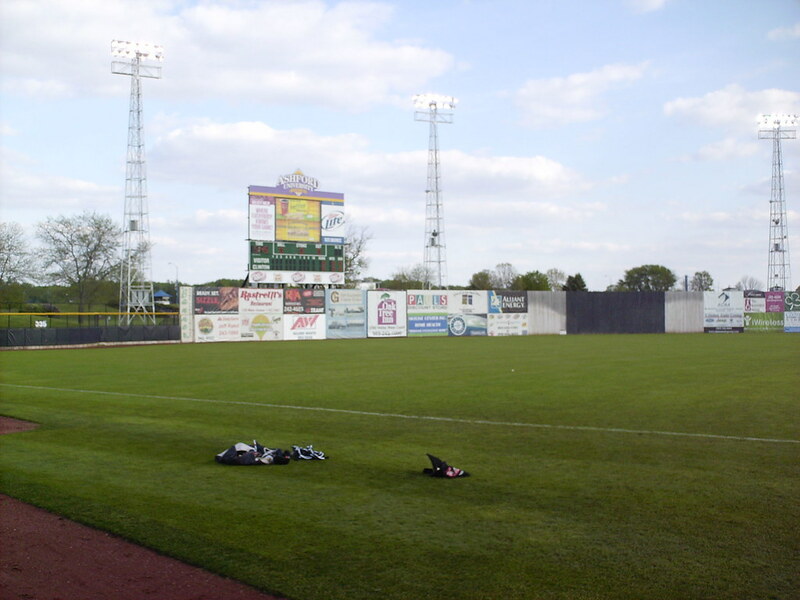 The scoreboard and wooden outfield fence in center field. 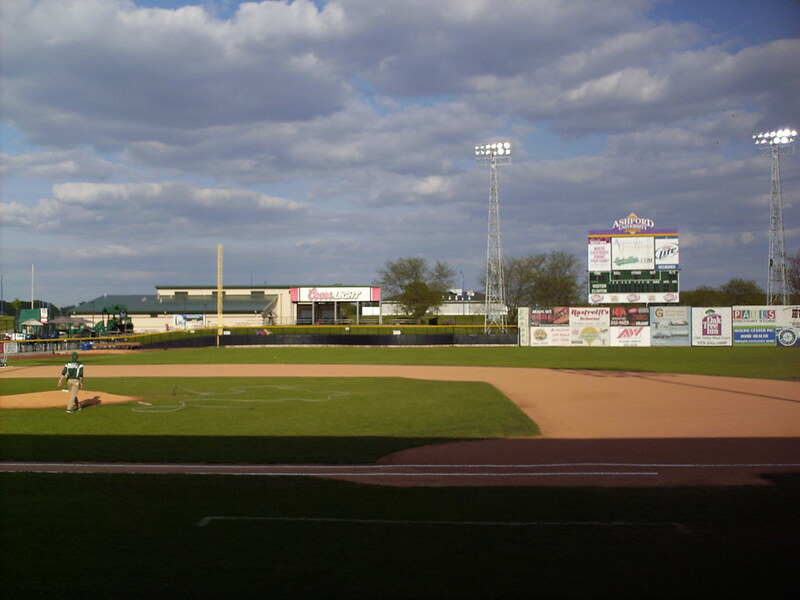 The Clinton LumberKings on the field during a game at Ashford University Field.